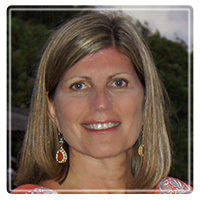 Alpharetta Therapist: Cindy Hoerig - Therapist 30009. Through the process of therapy you can achieve long term change in your life. I will help you understand the patterns and obstacles that prevent you from living the life you want. I want to understand what you’ve been through and help guide you to become the person you want to be. I am a licensed professional Counselor in the State of Georgia and a National Board Certified Counselor. I am a member of the Licensed Professional Counselors Association of Georgia. I hold a Bachelor of Science degree from Georgia Institute of Technology and a Masters of Science degree in Community Counseling from The University of North Georgia College. I have extensive experience in private practice settings. I became interested in counseling as a career when my own family experienced a difficult time due to the extended illness of one of my children. You can contact me by phone or email to answer any questions you may have. I offer a complementary phone consultation. I look forward to speaking with you.